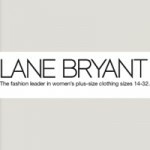 Lane Bryant owns a chain of women's clothing retail outlets in U.S. The primary focus on this retail chain is on plus-size clothes. The company was founded in 1900s and became popular for its maternity designs that Lena Himmelstein Bryant Malsin created. After Lena's marriage to Albert Malsin, he was the one, who took up the company's charge and took it forward to grab a share in the market. After Lena's death, her sons took care of the company and now the company owns a number of stores in different locations with its headquarters in Columbus OH. Now the company also sells through outlet sales and online stores. There are currently 2 consumer reviews about Lane Bryant available. Share your review. I recently visited the Lane Bryant in Enfield Ct. and I have been purchasing clothing in that store for years. While perusing the products in that store I needed to use the bathroom. I have used that bathroom over years when trying on clothing, buying jewelry, or just general shopping. When I came out of the bathroom the store manager (an African American) totally humiliated me and yelled at me and told me that I could not use the bathroom because people steal merchandise in that space. Another shopper was appalled at the way I was spoken to and I decided not to buy anything in that store ever again because of the way I was treated. She told me that "she didn't want to have to clean the restroom and that it wasn't fair to her". At this point, I began to walk out of the store and yelled at the store manager in the tone she spoke to me and warned her that I would be filing a complaint about HER behavior. Here I am two weeks later writing this complaint. I intend to write this in this space and also send a hardcopy to several locations if I have to. This woman needs to be trained not to speak to the shoppers who are spending good money in your stores in that fashion. Please investigate this woman. I have taken pictures so I can identify this woman if I carry out this complaint to the fullest. Please take a note that you are about to post a public review about Lane Bryant corporate office on CorporateOffice.com. This review will be public, so please do not post any of your personal information on this website. If you would like to contact the corporate offices of Lane Bryant, please use their contact information such as their phone number, website, and address listed above to contact them. However, sometimes staff from Lane Bryant headquarters do read the reviews on this website.